Marty is the fourth generation family member to manage Moses and Son. Marty first joined the family business as a store-man in 1980, after 5 years working in the electrical and petroleum industries. He eagerly progressed through the various facets of the business, gaining the necessary experience and qualifications to be appointed Managing Director in 1993. 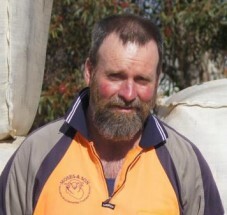 Marty is actively involved in both the wool industry and the community. 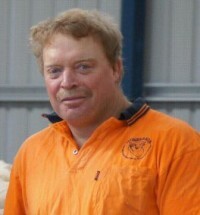 Most notably, his work as Director of the Inland Wool Brokers Association, Yennora Wool Brokers, and Director representing Brokers on the board of the Australian Wool Exchange Limited. In more recent years, Marty has developed a passion for sheep and genetics. He is currently a director of Merino Link and The Peter Westblade Scholarship and works tirelessly supporting the Peter Westblade Memorial Merino Challenge. He is the current chairman of a local charity, TAPIN, supporting people within the community who suffer from chronic illness’. 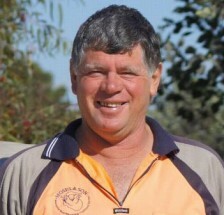 Marty is an avid Rugby Union supporter and a patron of the Temora Rugby Union Club. Marty’s other devotion is tournament water skiing – and is currently the president of the NSW Water Ski Association, Tournament Division, and is a long standing member of the Lake Centenary Management Committee. In his spare time, he loves spoiling his grand kids, touring Australia and sometimes overseas on his BMW Motor Bike with his understanding wife, Amanda. Greg joined Moses and Son when he decided to leave the farm in 1988. 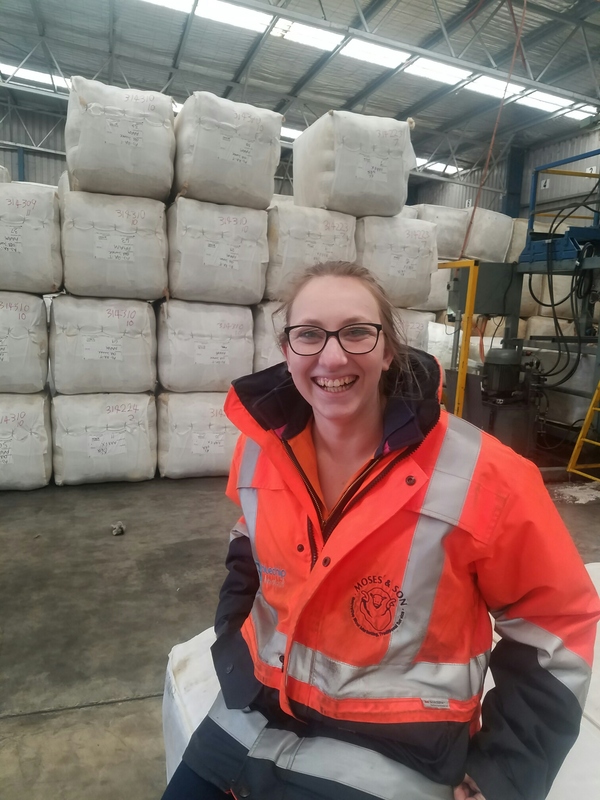 As a qualified Wool Classer, Greg has moved his way around the business from the Warehouse Manger to recently becoming the Merchandise Coordinator. An avid Rugby Union fan with a playing history of 16 years, you will often find Greg at The Rec cheering on the Temora Tuskers. Greg is also a keen supporter of the Temora Dragons, with his son strapping on the boots for them. Craig was born in Temora and raised in Ariah Park. Craig has obtained a Certificate IV in Advanced Wool Handling and has his First Aid and Certificate IV in Retail qualifications. Before joining Moses and Son, he spent a year roustabouting, and ten years working at Mt Selwyn Snowfields. He was a Department Manager during winter and on lift maintenance during summer. Craig started a Facebook business with his wife Alicia, “Echoes of Arbortree” reusing and recycling old wares. He also supports Alicia in her business venture “Dear Friday”, of hand-making earrings on demand for local shops. Craig loves being able to play cricket, football and spending time with his children, Finn and Ivy. Dave was born in Wagga Wagga and raised in Temora. He joined our team in 2000, working in Rehandle, before attaining his Wool Classers Certificate and moving to the ‘Warehouse’ as our chief coreline tester. Before Moses and Son, he worked in retail and owned his own furniture store. Dave spends his spare time chasing after his 4 kids and helping out wherever he can with their soccer. Peter was born in Ardlethan and as a child moved around NSW due to his father’s job on the railway. When he left school, he followed in his Dad’s footsteps and joined the railway until 1990. 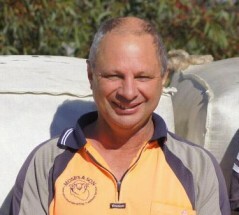 Peter then worked as a Scourer Operator at Riverina Wool Combing for the next five years. In October 1999, Pete joined Moses & Son in Shipping, where he is responsible for ensuring all bales are loaded and sent to port. His favourite part of the job is the freedom to coordinate his own day. Pete is a proud Carlton supporter. Gary works in the Warehouse at our Temora store. 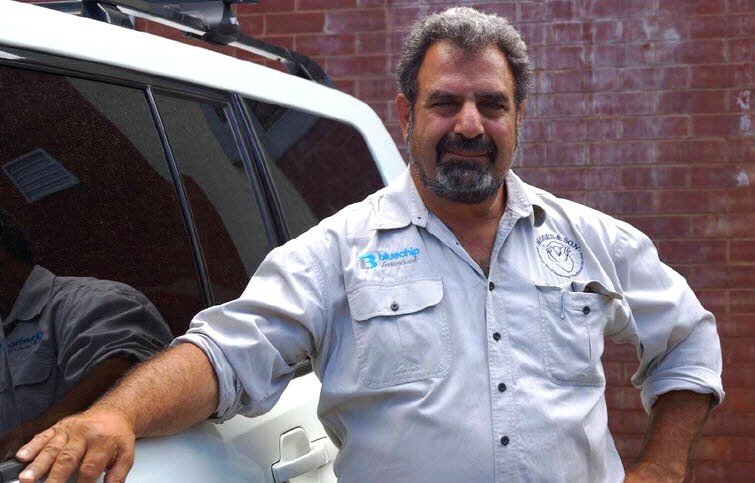 He previously ran a carpet cleaning franchise for eight years, before re-joining our team in 2011. Gary loves to travel and in his spare time, enjoys fishing and kayaking. Veronika started working for Moses & Son in July 2017 at the Moses & Son Wagga Wagga store before relocating to Temora. Veronika has her Certificate IV in Wool Classing and has been classing for over a year. Veronika loves anything outdoors! 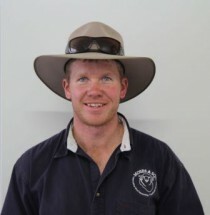 Tony (Kitey) was raised and worked on the family farm just outside of Temora, before starting in shearing sheds as a roustabout and qualifying as a Wool Classer. In 2006 Tony started working in Rehandle, classing wool from door sales and bales sent to bulk class. His hobbies and interests include motorbike riding, travelling the world (especially by cruise liners). Kitey enjoys spending time with his wife and two beautiful daughters. 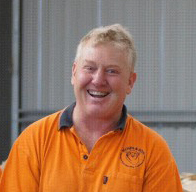 Mark New, or ‘Newy’, is one of Moses & Son’s longest standing staff members. Born and bred in Temora, he worked at a supermarket and as a roustabout before he joined Moses & Son. He qualified as a Wool Classer in 1990. You can easily spot Newy by his bare legs, even in the middle of winter! Christine is a Temora girl and joined Moses & Son when she left school in 1997. Christine has worked her way through the admin ranks to her current role of Administration Manager. Christine is a valuable team member and her meticulous nature is critical to the smooth running of Moses & Son. Christine and her husband have recently built their own home and have welcomed their first baby, Jimmy. Liz was raised in Canberra. After school she studied a Bachelor of Business Management at CSU Wagga Wagga. Following a working holiday in the UK/Europe, she returned to work at the Royal Melbourne Hospital as a Return to Work Consultant. In 2009 Liz relocated to Temora to be with her husband. 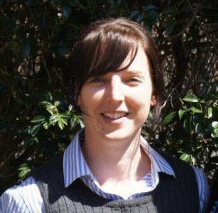 After a stint in the Human Resources Department at Junee Jail she joined Moses & Son in May 2011. Born and bred in Temora, Sheree has previously spent 6 years working in a local Real Estate and after the birth of her three sons, decided it was time for a change. Sheree joined us in early 2012 and has shown us that her local knowledge of the area and efficient work ethics make her a real asset to the Moses team. Sheree has always had a passion for the rural scene, being raised on the farm and would love one day for her and her husband to own a few acres of their own. In her spare time she runs a book club with a few of her friends. Tegan was born and raised in Temora. Whilst at school, Tegan worked at the local Supa IGA. 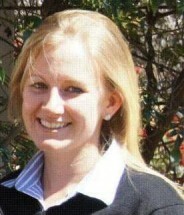 For part of 2012, Tegan worked at Trinity Law Firm in Canberra, before joining the Moses & Son team. Teegs is an all-rounder, who assists everyone with great knowledge and enthusiasm. Tegan has a number of interests which include singing, guitar, reading and loves being outdoors. Christine was raised near Frankfurt, Germany, where she qualified as a Chef, and then relocated to Australia in 2003 after meeting her now husband on a working visa. Sean and Christine spent 10 years in Sydney, and wanting a quieter atmosphere, moved to Temora with their two children in 2013. Her previous employment has included cooking, customer service, office work and bar-tending. Christine joined our Moses & Son Administration ranks in early 2016. 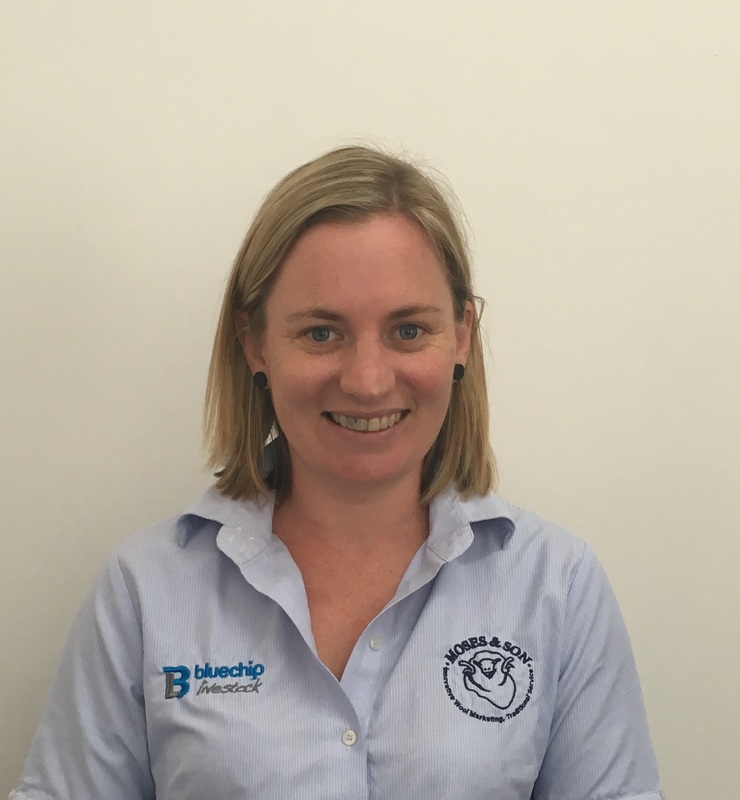 Born and bred in Temora, Cassie joined our team In July 2017. 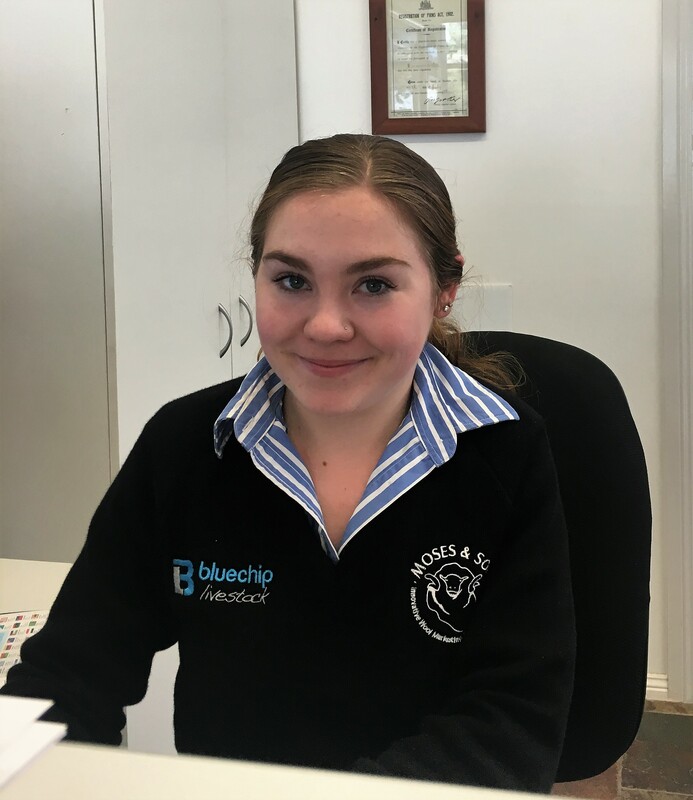 Her previous work included sheep and farm work and waitressing, Cassie has just completed a TAFE course in Business Administration, and is currently studying wool classing at TAFE. Cassie’s hobbies include photography, camping and cooking.